The Human Bomb's Golden Age Gallery. 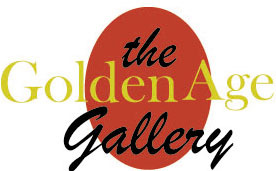 The Golden Gallery is dedicated in a way to a Golden Age Character called the Human Bomb. Over the past few months, I have been playing both the Human Bomb and the Golden Age Batman at All-Star Mush. Playing both these characters helps me to unwind, in many ways playing Batman gives me a lot of selve confidence. He walks into the room and garners a certain amount of respect. I try to play him as a leader, but sometimesI wonder about my ability to do him justice. The story of the Human bomb is quite fascinating and a lot is writtenon the Human Bomb and his history at the Golden Age Fact File. Roy Lincoln was a brilliant chemist who was assistinghis father, famous explosives expert Prof. B. Lincoln, in working on anew, incredibly powerful explosive chemical known as 27-QRX. Nazi agents,intent on stealing the formula, confronted the two chemists in their laboratory,and one agent shot and killed Roy's father. Roy battled courageously toavenge his father, but he was heavily outnumbered, and to prevent the enemyfrom getting the precious capsule containing the formula, he swallowedit. As the strange chemical coursed through his veins, his entire bodybegan to glow, and slowly the glow began to settle in his hands. The startled henchmen drew their guns and fired away at Roy, but the bullets explodedharmlessly upon striking his flesh which had been transformed into a super-hardsubstance. The fight continued and during the vicous struggle, Roy landed a crushing punch that not only knocked out one enemy agent but also burst a wall apart,causing the laboratory to explode. Again, Roy Lincoln was not effectedas the falling debris glanced harmlessly off him. He quickly realised thathis fist had caused the blast, that he could blow up anything he touched:the tremendous explosive power of the chemicals was somehow concentratedin his hands. He also realised that he was a dangerous hazard because anything hetouched might explode. Remembering that the capsule he swallowed was madeof a special 'fibro-wax' that prevented the chemical from activating, Royfashioned a pair of asbestos gloves and a complete asbestos suit and helmet,all of which he lined with the special wax. the who joined the mysterious Uncle Sam to fight an attempted Japanese invasionof California. In later years the character concept underwent a gradual transitionfrom superhero to crime sleuth. First, Roy Lincoln abandoned his protectiveasbestos suit for a green business suit and hat, and then he exchangedhis asbestos gloves for ordinary leather gloves which he removed only whenhe had to punch through locked doors, but this wasn't very often. Roy has remained youthful for decades, possibly due to the mysticalpresence of Uncle Sam, possibly due to a side effect caused by the 27-QRX.Click here for more information on the The Human Bomb. Villains: Black Vanguards (Police #6; Human Bomb foe) - Nazis; gangin black; use flame guns and earthquake/vibration machine. Jake "Bobo"Benetti (Starman #29; Dr. Fate, Dr. Mid-Nite, Green Lantern, Hawkman, HumanBomb, Jester, Starman, Iron Munro foe) - extremely strong; regenerativeabilities; no costume. Mr. Chameleon (Police #14; Human Bomb foe) - hasan invisibility cloak; has a flashlight disintegration beam. Patcheye thePerilous (Police #26; Human Bomb foe) - inventor; has walking robot skeleton,robot python, robot boxer, robot woman. Stingmayer, Herman (Police #11;Human Bomb foe) - uses piped music to destroy buildings ala tuning forks;anti-Democrat, Republican, anti- Axis. Three Mosquitos (Police #18; HumanBomb foes) - Axis spies; use bombs, guns, etc; foot-high clones of Axisleaders. Yarboe (Police #56; Human Bomb foe) - a criminal scientist whohas stolen a bit of the Human Bomb's power For more information on other villains you can consult the Golden Age Villain Fact File. Also of Note:Human Bomb (Blackhawk #79) - costumed character with bombs strapped tohis body, blows up free nation's vital weapons facilities but somehow survives; it's a trick with the bombers actually suicides and Von Tepp pretendingto be the Human Bomb to gain access to top secret documents. The Bombardiers:The Bombardiers are the Human Bomb's stooges, comedy relief, replacingThrockmorton. "For a short period in 1943, Throckmorton was replaced asthe Human Bomb's stooge by the Bombardier's, who comprised Curly McGurk,Swordo and the lovely Red Rogers. In POLICE COMICS #21, they were providedwith limited explosive powers by the Human Bomb and joined in a seriesof raids on the Japanese army in mid-1943 (# 21-22). With #23, the Bomb was back in the States and we never did learn what happened to his partners." Keith Miller plays the Golden Age Superman and is a Sociology Major at the McNeese State University inLake Charles, Louisiana. I'm still pretty new tothis whole role playing mush idea, but I enjoy it very much. It's a greatway to unwind from the grueling routine of college existence and I've meta lot of cool people while playing. I'm still finding my feet when playingSuperman. I have always found the Golden Age Superman to be my favoriteversion of the character. I love the 1939-41 issues of his comics the most.He was the ultimate liberal>reformer, willing to break any state or federallaw to stop every injustice he saw. He saw a problem and he fixed it. Simpleas that. However he mellowed out around 1941 and became more law abiding.He decided that instead of solving every little problem for people he wouldmake the world safe so that people could solve their own problems.ÝSince the mush is set in 1942 I have to be the kinder, gentler superman.Oh darn! In my mind Clark Kent is the real person, Superman is just theperson Clark becomes to get things done, to make the world the place wedeserve it to be. Clark has all the real personality. I love playing himas a meek hick lost in the big city. His parents, the Kents were thebiggest influence in his life. Clark has three great loves of his lifeJustice, the newspaper business, and Lois Lane. Deep down Clark is a steeledwilled romantic, a Quixotic hero, a man who like other men sees the worldas it should be but isn't but unlike other men he has discovered he hasthe power to carry out his conviction. His whole life he has had to hidewhat he really is but has found the perfect outlet for his dreams in thesuperman identity. At this point in his life Superman has no idea what his origin is. His very existence is a mystery to him. Maybe that is whyhe is such good friends with the Batman, the epitome of mystery. James Enelow plays the Golden Age Batman. He is a Ph.D student at the University ofTexas at Dallas. He also teaches in the Rhetoric Program. In order to really understand the Batman, I had to abandon all the pre-concievednotions I have of him. As you can see, I only have a gif here of the AnimatedSeries Batman, but watching the animated series helps me understand theman's motivations and passions. The Current Animated Series also capturesa little bit of Batman's origonal look. When I play Batman, I turn to thinkingof how Batman operated in the beginning. He drove fast cars. Bullets wereflying everywhere, and he was constantly swinging on ropes and smashingheads. I play the Batman as a hard nosed detective but he's only gruffwhen it comes to dishing out justice. It's hard not sometimes to lapseinto the Modern Batman. Even as I watch the Cartooon show, I see aspectsof Modern Batman, but there is an innocence to the Golden Age Batman, Itry to capture. I dislike the Batman that argues with Superman and the Golden Age Batman allows me the freedom of playing a character who can trust Superman. A characterwho is not so dark--not so psychotic. My Batman is a searcher and an adventurers and a good friend when thechips are down. He is a hard individual but there is his soft side. Walking the line between the modern day conceptions of Batman and the Golden Ageideal is very hard. I look to concept shows such as "Superfriends" forguidance but there is a connection between Adam West's Batman and the DarkKnight-- Frank Miller's Batman, though I discount that he doesn't sound like Adam West and he isn't nearly as chearful. 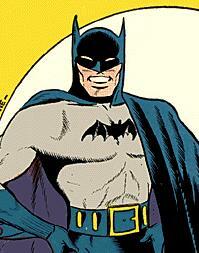 For information on the Golden Age Batman's stats you can check them out by going to this site.